Masi Bicycles (USA) have just released their 2018 range of bikes at the 2017 Interbike Show that was held in Las Vegas. 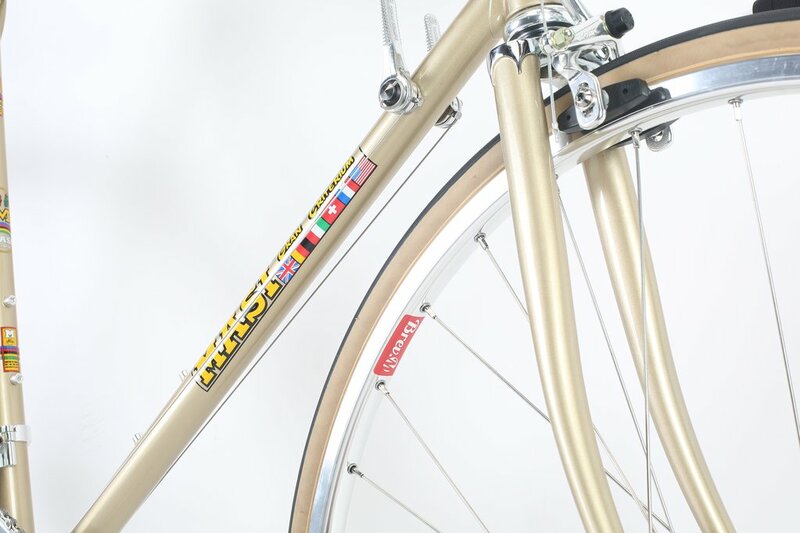 Amongst the various new Masi models is a definite standout for 2018 being the Gran Criterium Classico. With the renewed interest of vintage cycling Masi have reissued an authentic vintage replica of its ever popular Gran Criterium model. 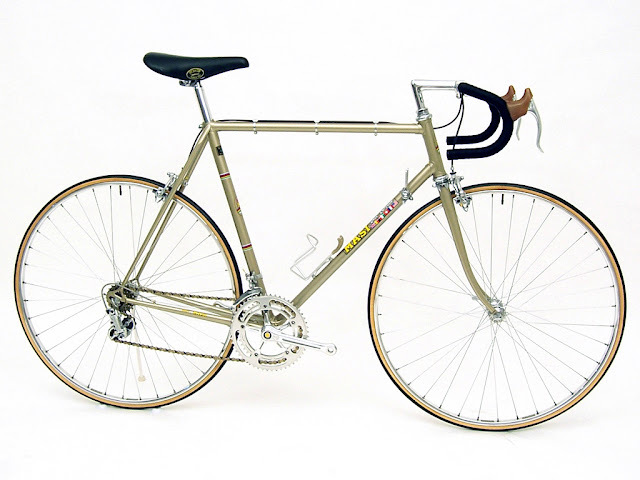 To show you how authentic this replica is I have posted an image of a 1972 Masi Gran Criterium directly below this text....and below that is an image on the new 2018 replica model. Quite an astounding likeness that should resonate very well with vintage cycling fans. Although the 1972 model was fitted with only Campagnolo and Cinelli components, the 2018 model carries a mixture of Campagnolo, Ene Ciclo (by Dia Compe) and Cinelli components......a well selected mix of what todays market offers in terms of 'new' vintage cycling componentry. 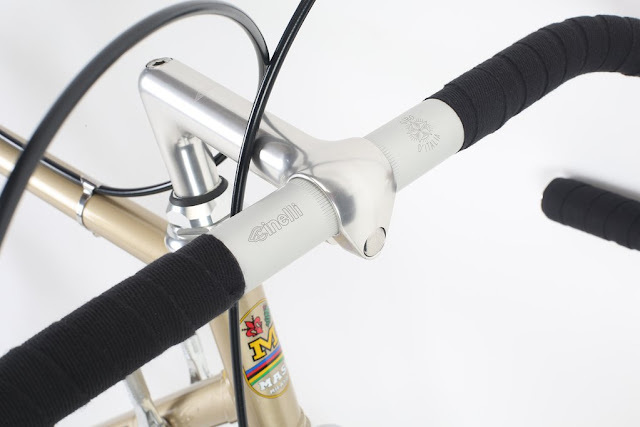 Cinelli 1A quill stem and Giro D'Italia handlebars. Masi "M" cutout on bottom bracket. 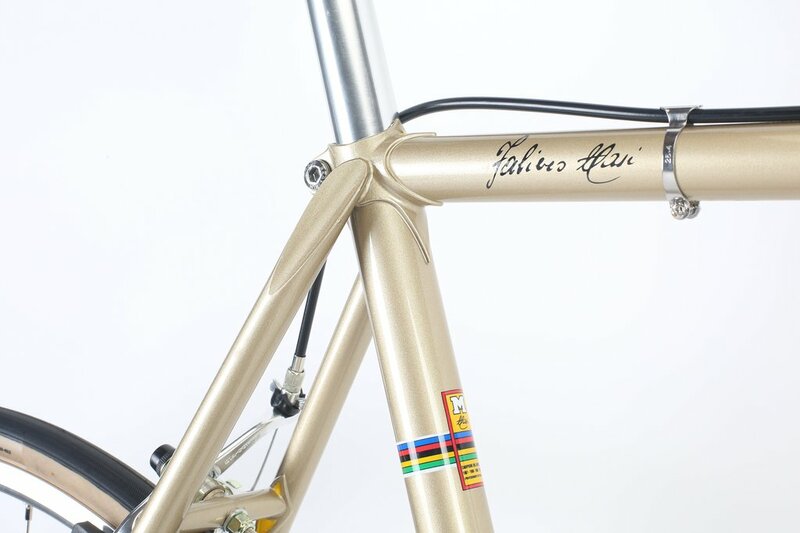 Chromed crown on the replica fork. 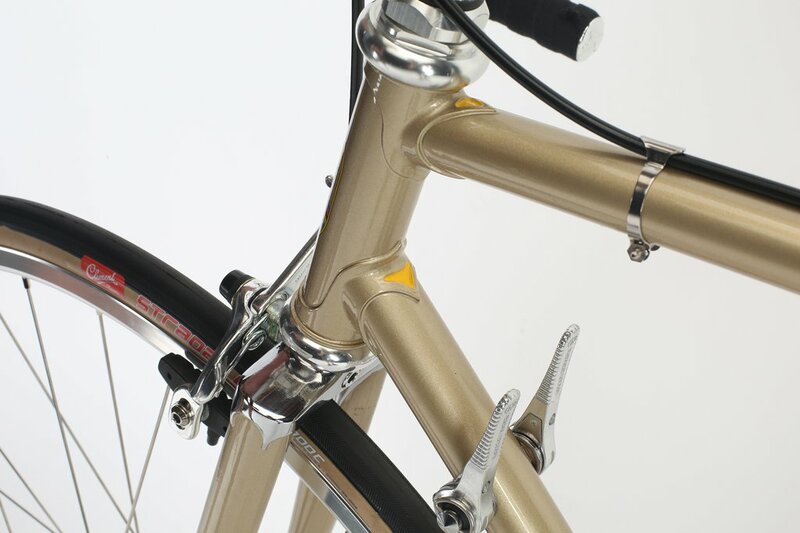 The champagne colour of the new model is a very traditional Masi colour which has been beautifully replicated. 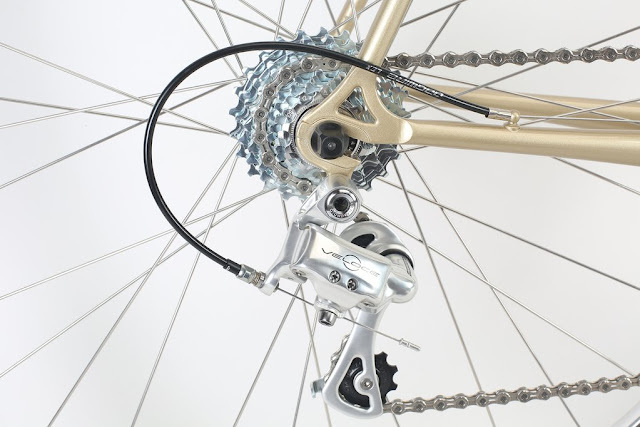 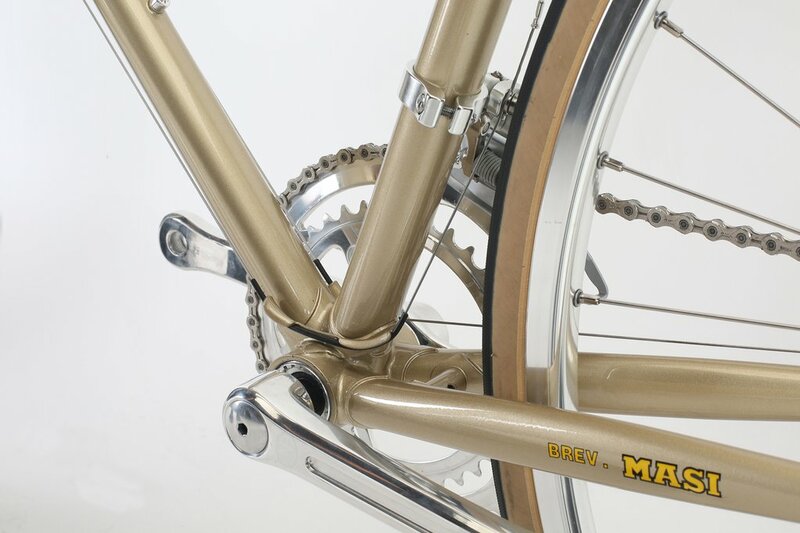 For me the outstanding features of the frame are the long forward facing rear dropouts and the Masi "M" logo that has been cut into the underside of the bottom bracket. 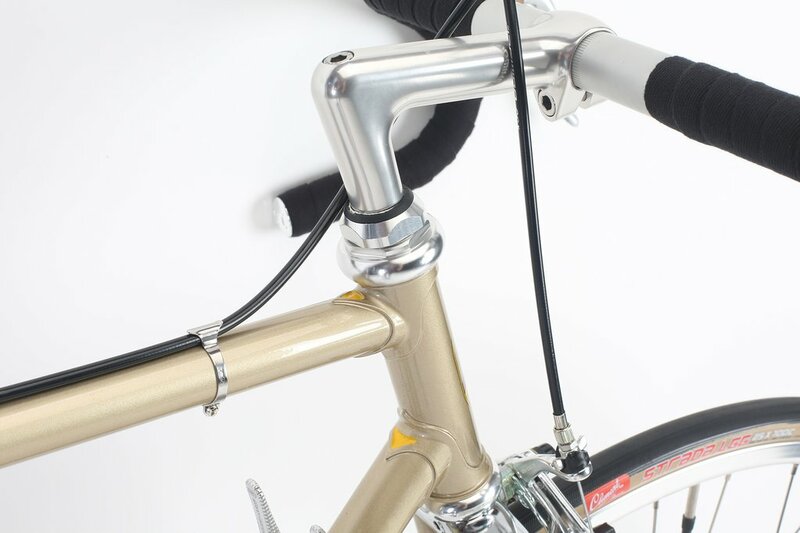 The decals are fantastic replicas and I also love the front fork with a traditional chromed crown that is true to the original GC models. 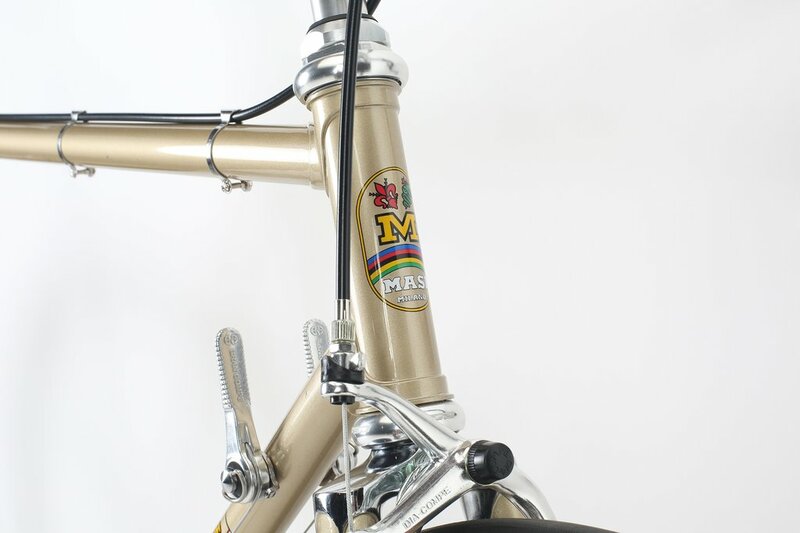 Previous Masi Gran Criteriums have only carried A-head stems so it's great to see that this more traditional model has a threaded 1 inch headset for quilled stems. 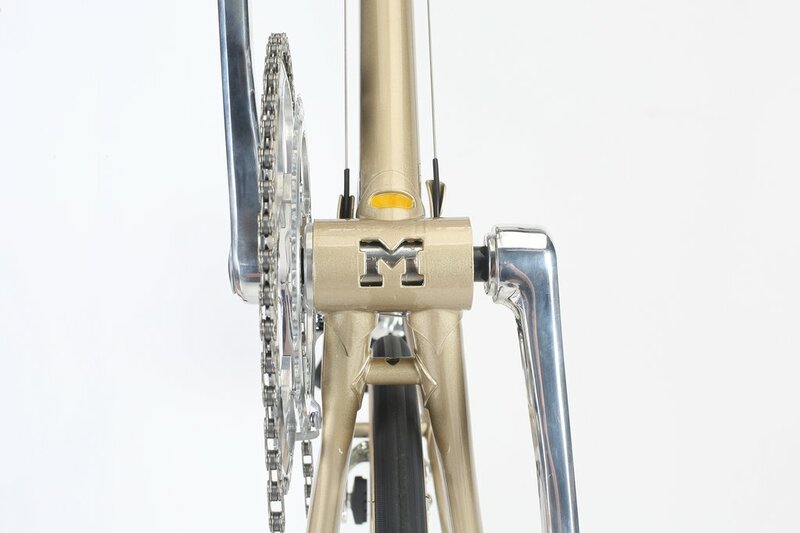 The new model has only just been released in the US so it'll available for purchase from the Masi Bikes website fairly soon. 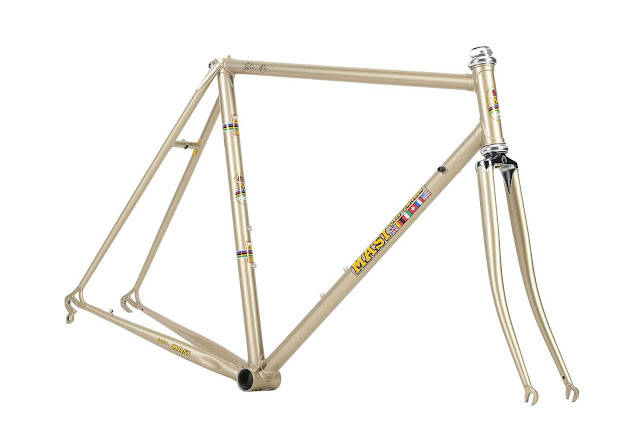 I notice that it is sold as a complete bike on the Masi website for US$2720.00, but I'm hoping that they will eventually sell the GC Classico as a frameset as well. 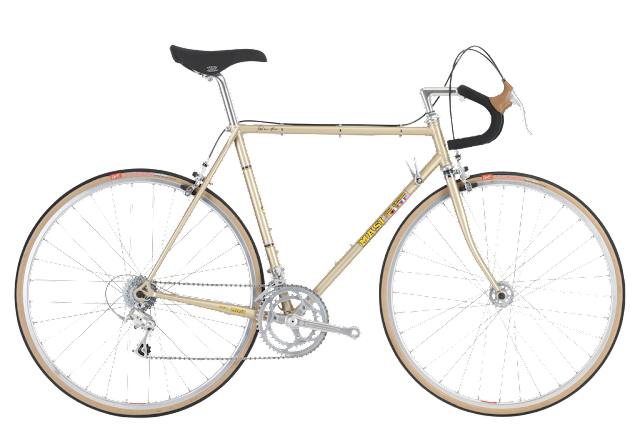 The 2018 Masi Gran Criterium Classico is currently available at Adrenaline Bikes in both forms: The complete bike can be purchased for US$2499.00 and the frameset for US$1099.00.